"As a student, sometimes I don't have any spare time to do my laundry. With the Drop Off Laundry Service, I know my laundry will get done on time, and I have more time to focus on school work. It takes a lot of stress out of my week." If you're like most people today, there aren't enough hours in the day to do the things you want to do, let alone the things you need to do. Let us help you! 2 minutes to pick up! Our drop-laundry service is fast and convenient. 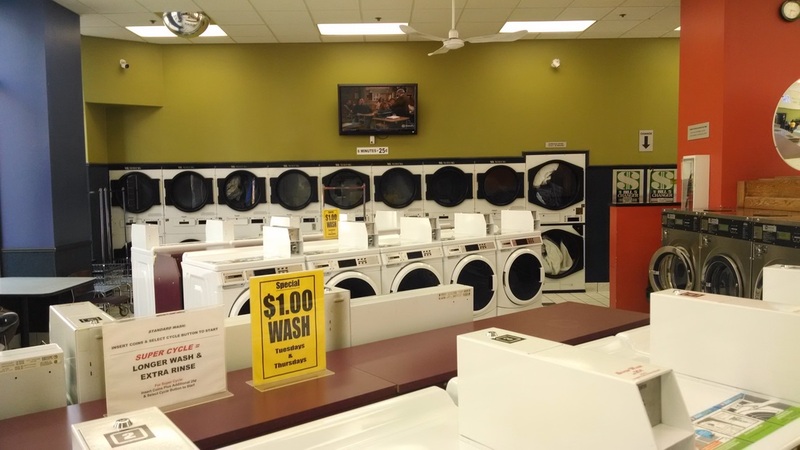 Bring us your dirty laundry, and we'll wash, dry, fluff and fold for you, all for $1.25 per pound! Unless you have a student ID, then the price is $1.10 per pound! Faculty Members, Students, Business Professionals! !